Millennials are entering the cruise market with growing demand for diverse life-enhancing activities they can do while in port. 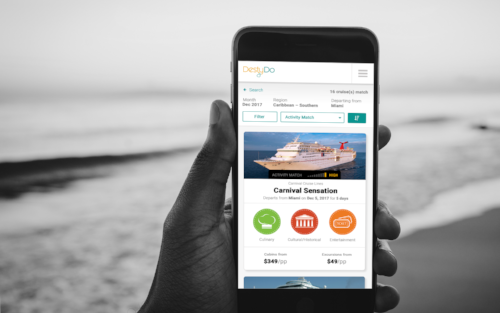 Truefit developed a solution for DestyDo that resonated with this fast-growing market – seamlessly integrating multiple third-party databases to discover, share, and book their adventures via mobile and web. In just six months, Truefit successfully developed a distinctive platform for assessing cybersecurity maturity and building risk-mitigation plans for CMMI Institute business, education, and government clients. By leveraging their expertise in organizational maturity and software development, CMMI established a leadership position in their target market and ensured the cybersecurity of their clients. Truefit created an intuitive user experience for coaches and players new to motion analysis. Baseball coaches and batting instructors had years of experience but were lacking the measurable insights and usable tools for capturing, storing, and analyzing swing data. The Swingtracker launch was a “home run” – we helped them prove the value of their data, win awards, and quickly attract major commercial partners. 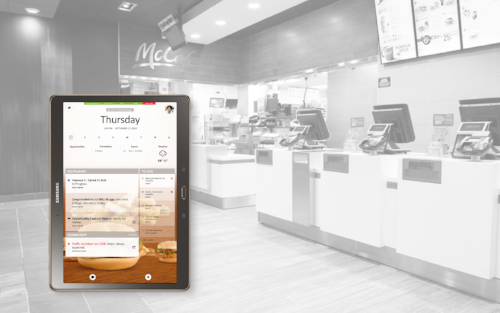 We helped McDonald’s Restaurant Solutions Group understand and improve the information environment for McDonald’s restaurants worldwide. We embedded design research teams into the environment to understand the context and build empathy for what managers and crew encounter daily. We synthesized these insights into practical solutions for McDonald’s IT team to further develop. We worked with TEAMology to power a collaborative school culture movement that integrates social emotional learning, bullying prevention, and career readiness into everyday teaching. We created a new digital platform for them that improves curriculum access and teacher collaboration and inspires the spirit of team and leadership among the student community. We applied our human-centered design process to help Precor address a comprehensive range of global innovation challenges involving their market-leading cardio fitness equipment, mobile applications, and their Preva networked fitness platform. We designed the Preva mobile apps to keep new fitness club members engaged and motivated to reach their weekly goals — both in and out of the gym.